Measuring your success through comparison is a recipe for letting yourself down. The only photographer you should compare yourself to is the one you were yesterday. Creating art is not a competition, someone does not have to lose for someone else to win. We can all win if we create images that bring personal satisfaction. Comparing, in photography or in life, is not productive. You cannot look to external standards, whether it be others work or their opinions, to find personal satisfaction. You must be comfortable with yourself and your art to find true joy. 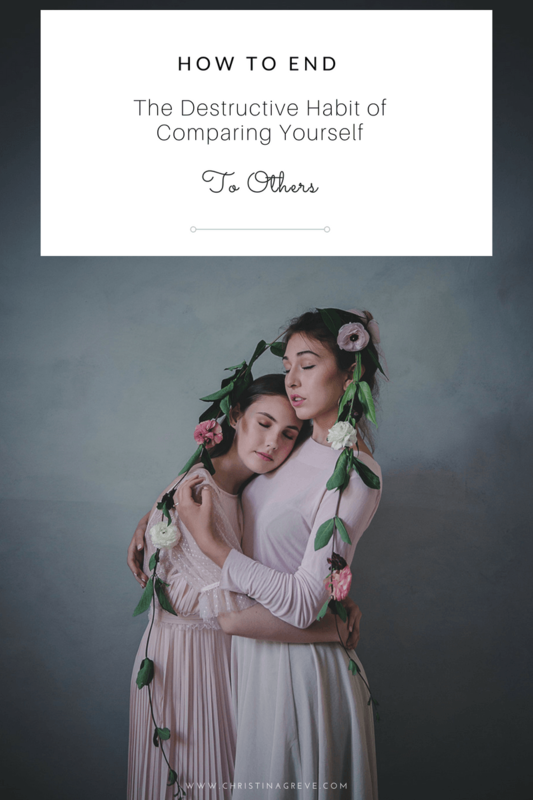 The very act of comparing yourself to others takes up your precious time and headspace and you have absolutely NO CONTROL over this other person and their creative work. When you compare yourself to your competition or tailor your business to match other businesses in the field, you´re forgetting the ONE thing your business has that no other business has; YOU. 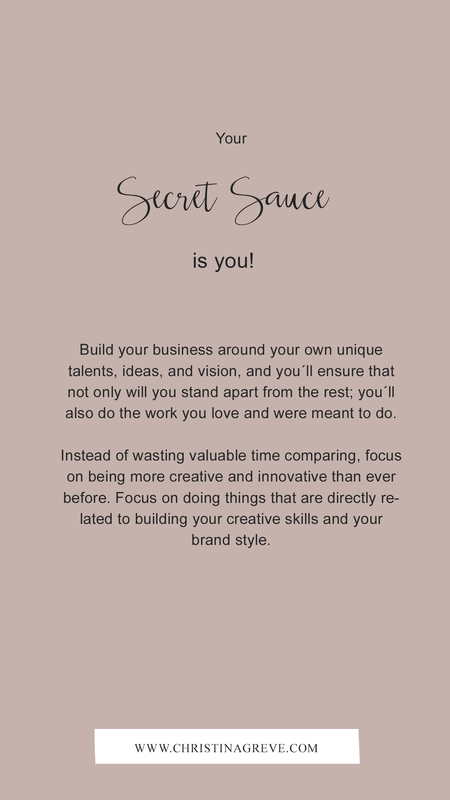 Your secret sauce is YOU! Build your business around your own unique talents, ideas, and vision, and you´ll ensure that not only will you stand apart from the rest; you´ll also do the work you love and were meant to do. Instead of wasting valuable time comparing, focus on being more creative and innovative than ever before. Focus on doing things that are directly related to building your creative skills and your brand style. 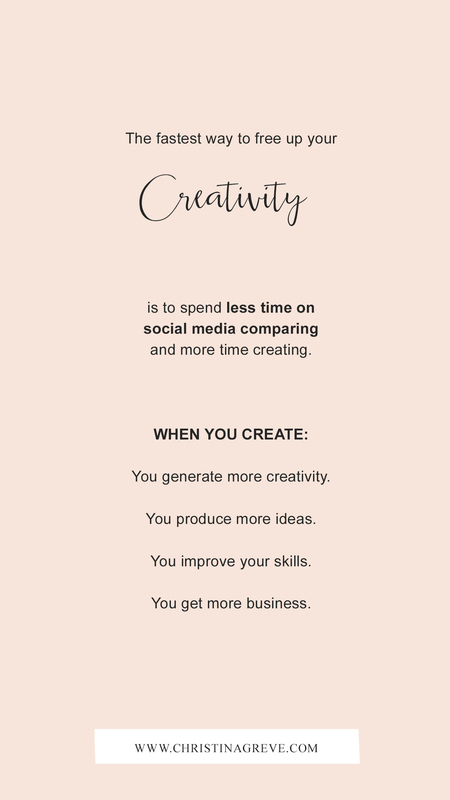 The fastest way to free up your creativity is to spend less time on social media comparing and more time creating. The best thing about Instagram is that it can be your creative outlet. Instead of focus on the outcome; the photo. Remember, you have a particular set of gifts, personality traits and talents that are unique to you. Comparing your life, your personality and talent is a waste of your gifts. Focus on the process of creating your photo. Put more effort into the details, care about the composition, play with the colors, experiment with editing styles and so on. Imagine there´s no rules, and just like a child you allow yourself to play with new fun ideas. Who cares what it looks like if you had fun creating it! It´s the quality of life that matters – not how it looks on the outside. 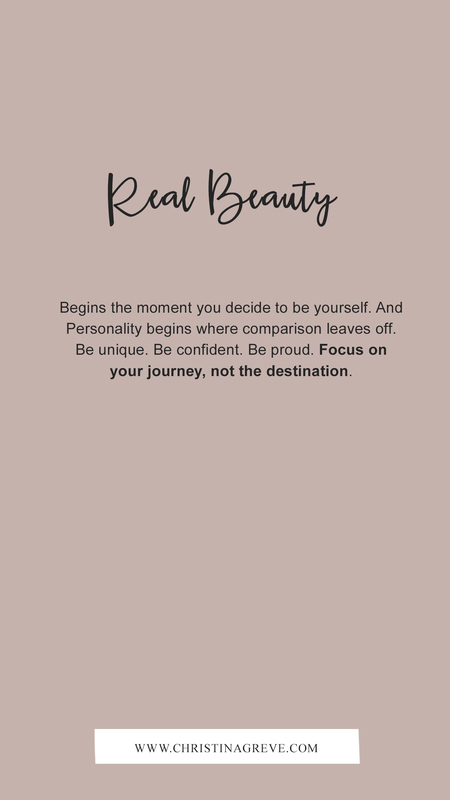 Real beauty begins the moment you decide to be yourself. And Personality begins where comparison leaves off. Be unique. Be confident. Be proud. Focus on your journey, not the destination. Take your power back and decide to post for you – and only you! After all your Instagram account is yours right! Post photos that make you feel; happy and creative. Have fun with it and do it for you – don´t post photos to try to please others and get more followers. It will only make you feel detached from yourself and stressed. Ready for more soul empowering motivation? 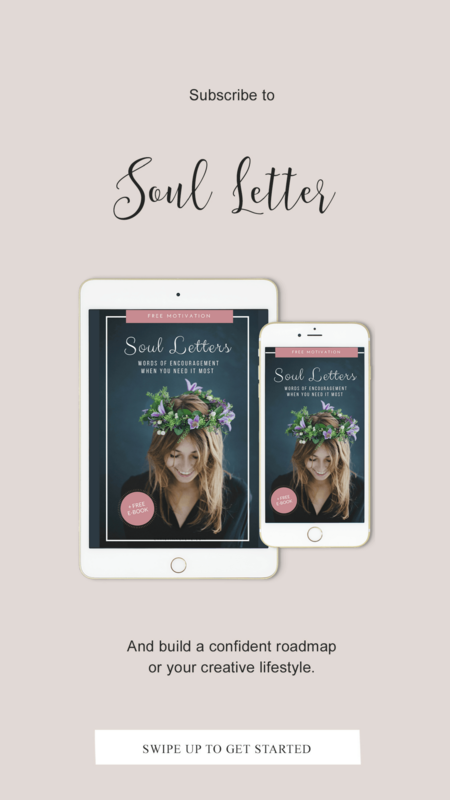 Come join my INNER CIRCLE and get exclusive access to SOUL LETTERS. One year of motivation devoted entirely to you and your life journey. Designed with love to support fabulous, highly sensitive + creative women. 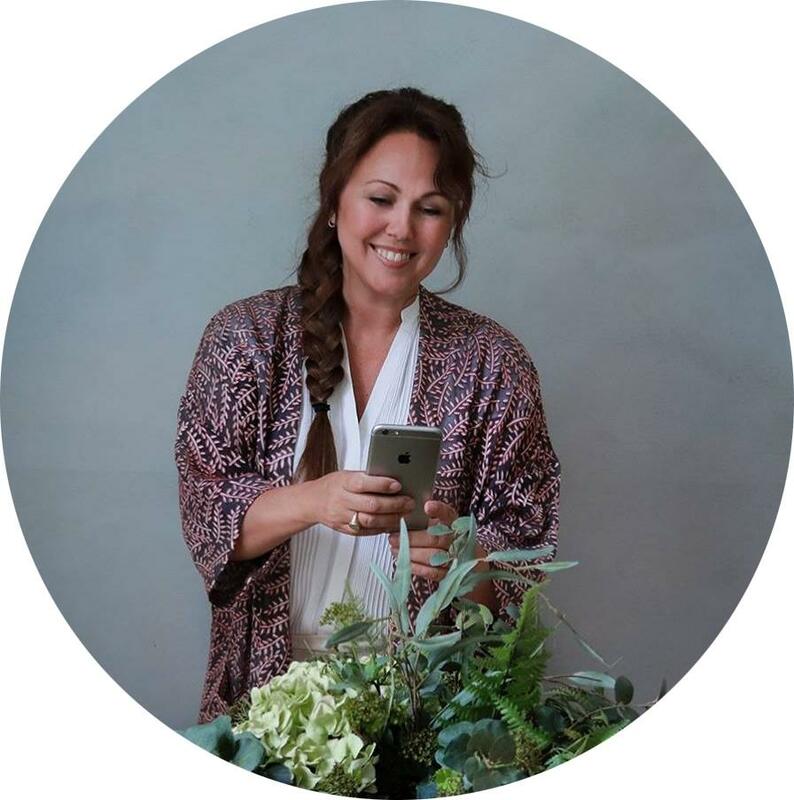 Every third day, for one entire year you´ll get small bursts of powerful insights to help you transform your life, and build a confident roadmap for your creative lifestyle. AND it´s 100% FREE to join!